The Shanghai Consumer Council has sent an inquiry letter to Apple over the slow-down of older iPhones after an iOS update, demanding a reply before 19 January . The council demanded the cause of the performance and remedy measures as well as complete information regarding the interests of consumers, Xinhua news agency reported on 16 January. The council said it received 2,615 complaints on Apple products and services in 2017, compared with 964 complaints in 2015. In late December, Apple apologised for the slow-down of the of old iPhones with older batteries amid lawsuits and consumer outrage. Apple also apologised to its iPhone community over the issue. It said the company will cut the price of out-of-warranty iPhone battery replacements from late January 2018 to December. The news came after Apple last week announced that the first Chinese data base of the Cupertino-based iPhone maker bill be put into operation on 28 February. 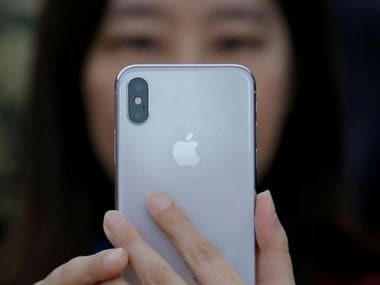 From them on, photos, documents and other personal information uploaded to iCloud accounts by Apple customers in China will be stored at a data base in southwest China's Guizhou Province. The company has started informing its Chinese iCloud users. The move is aiming to increase transparency and offer Chinese customers a safer and more fluent experience of iCloud, the company said. Apple announced the constructing of the new data base in Guizhou last July, with an investment of $1 billion. Other major technology companies, including Amazon and Microsoft, have also made similar deals to run data centres in China.